Carleigh Baldwin’s hometown is East Greenbush, New York. She completed undergrad at Assumption College and earned her Juris Doctor from New England Law, Boston. A team player, Carleigh is compassionate, persistent, and dedicated to her clients and the attorneys at Jason Stone Injury Lawyers. She has a passion for advocating for injured clients and going head-to-head with large insurance companies. 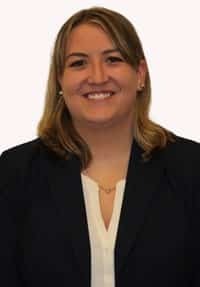 Carleigh is a member of the Alumni Board of Directors for Assumption College and is involved with the Massachusetts Academy of Trial Attorneys. Outside the office, you can find Carleigh spending her time cooking or golfing.